Award-winning Photographer Jack Hollingsworth Offers Tips & Tricks on How to Take Great Pictures with Smartphones. The class is July 30, 5-8pm at Hotel Viking. This smartphone photography class is perfect for beginners, emerging artists and anyone involved in social media. 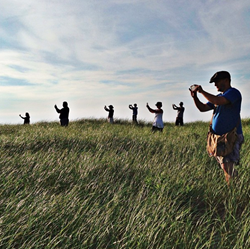 Award-winning photographer Jack Hollingsworth will teach an engaging and educational smartphone photography class at Hotel Viking from 5pm -8pm on July 30. The class includes interactive presentation and a photo walk capturing images of people, places, food and more while getting feedback, suggestions and instruction from Hollingsworth. 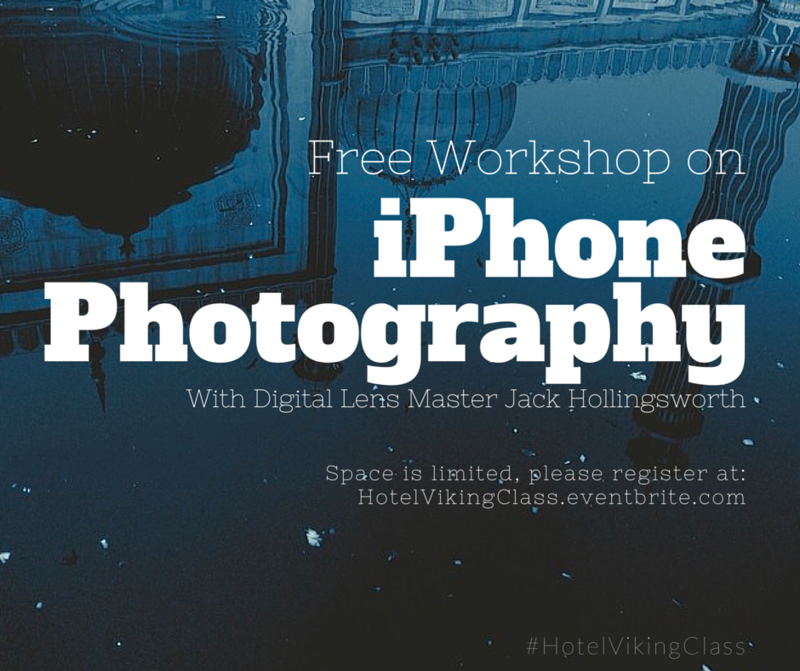 The class starts at Hotel Viking and will end at Top of Newport, Hotel Viking’s rooftop bar, where Hollingsworth will award an Olloclip 4-in-1 Lens Kit for the best photo of the day. The workshop is free of charge and limited to 25 students. Please register at hotelviking.eventbrite.com. Students in Hollingsworth smartphone photography workshop will learn basics including exposure and composition; how to shoot and edit in top apps; and will get insider tips and tricks on how to capture memorable images of food, architecture, people, places and products. Participants need to bring a fully charged mobile device with a camera such as an iPhone or Android smartphone. Instagram, Twitter and Camera+ should be downloaded prior to the class. 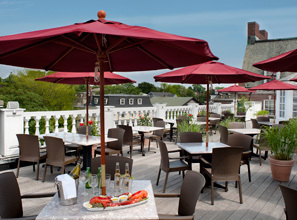 During the week, Hollingsworth (@JackHollingsworth) will also do an Instagram Takeover of Hotel Viking’s feed for two days while he explores Newport and shows behind-the-scenes at Hotel Viking. To see the images Hollingsworth captures, follow Hotel Viking on Instagram (@HotelViking). The hashtag for the class is #HotelVikingInstaClass and the Instagram Takeover is #HVTakeover. Jack Hollingsworth is an award winning photographer and iPhone photography expert. His remarkable imagery is represented by every major stock agency in the industry today including Getty, Corbis, and Blend Images. He has been hired to photograph top resorts, hotels and destinations around the world. Hollingsworth is involved in multiple iPhoneography projects, including e-books, podcasts, webinars, apps, workshops, and photo tours. Hollingsworth is the editorial content director for the popular Snap! Snap! Snap! blog, shares tips daily with his 52k followers on Twitter (@photojack), curates the best advice available from other experts on his Iphoneography Times e-paper, and has done Instagram (@jackhollingsworth.com) takeovers all over the world. iphone photography class The iPhone Photography class will end up at Top of Newport, the rooftop bar at Hotel Viking. 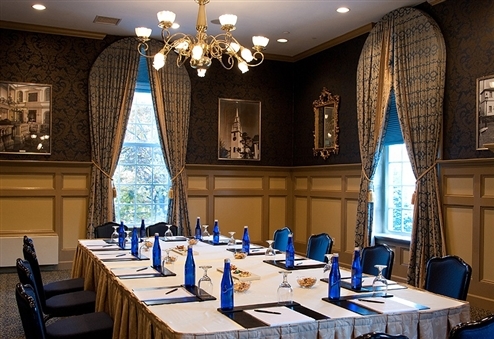 The iPhone Photography class will include a one-hour interactive presentation in one of Hotel Viking's meeting rooms.